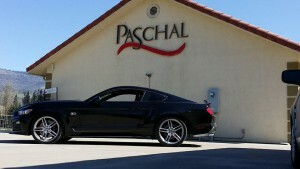 There’s Nothing Better Than Roush Performance Mustangs! 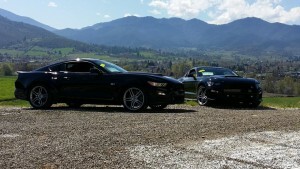 Spring in Southern Oregon brings sun filled days and the temp’s are in the 70’s – there’s nothing better than feeling the excitement of the season from the road in a Roush Mustang. Their journey eventually lead them down the long, fun and winding road to‪ Paschal Winery, where photos opp’s were a must. Thank you Oregon Street Stangz, for bringing some of your own awesome ‘Stangz’ for us to admire and for checking out our new shipment of one-of-a-kind Roush Performance Vehicles. Check out “Stangz” Facebook page HERE and check us out if you want an amazing American beast of car. Additionally, we’re the only‪ Roush dealer in all of Southern Oregon and Northern California!‪Come check out our breathtaking inventory today!